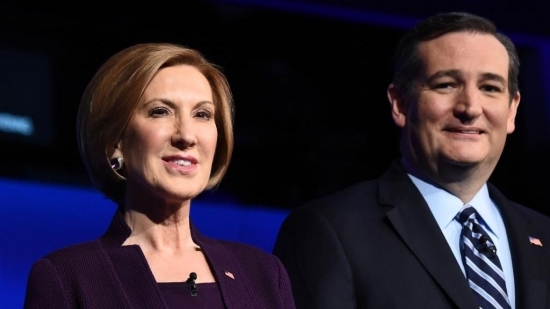 Republican presidential hopeful Ted Cruz announced today that former technology executive Carly Fiorina would be his pick as running mate if he gets the party's nomination. The Texas senator made the announcement on Wednesday afternoon in Indianapolis, the day after he fell short in 5 eastern state's primaries. 61-year-old Fiorina is best known as a former Hewlett-Packard CEO as well as a 2016 Republican presidential candidate herself. She endorsed Cruz in March after she dropped out of the race in February. Cruz is looking forward to Indiana's May 3rd primary. The family of a Wilmington teenager who was beaten to death inside of a high school bathroom is warning people to beware of online scammers profiting off their loss. 16-year-old sophomore Amy Joyner-Francis was assaulted by two other girls in a bathroom at Howard High School of Technology last week before school. She later died of her injuries. Since that time, there have been GoFundMe or other crowdfunding pages set up purporting to raise money for the family. The family also claims to not have any social media accounts. They claim the fundraisers are false and any information on social media could be fake. The family does appreciate all the support that has been given. Official donations can be made to: Congo Funeral Home in Wilmington. Three students have since been suspended. Police say charges could be filed at the end of the week.